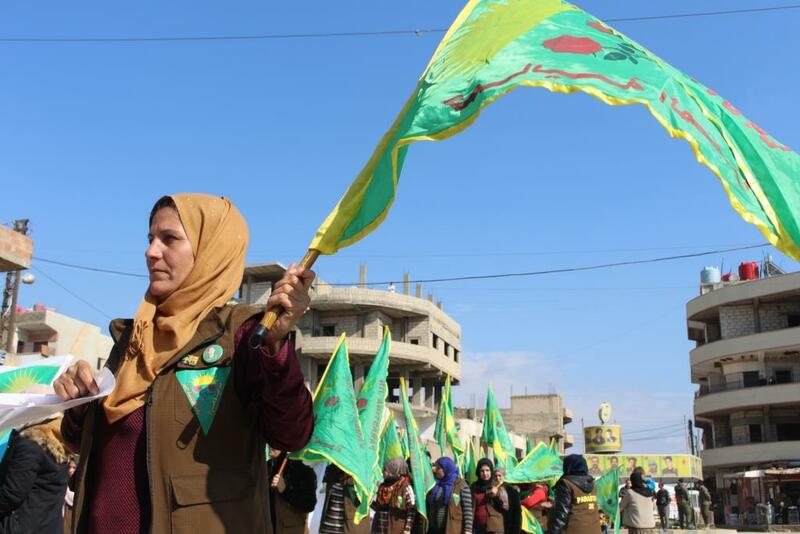 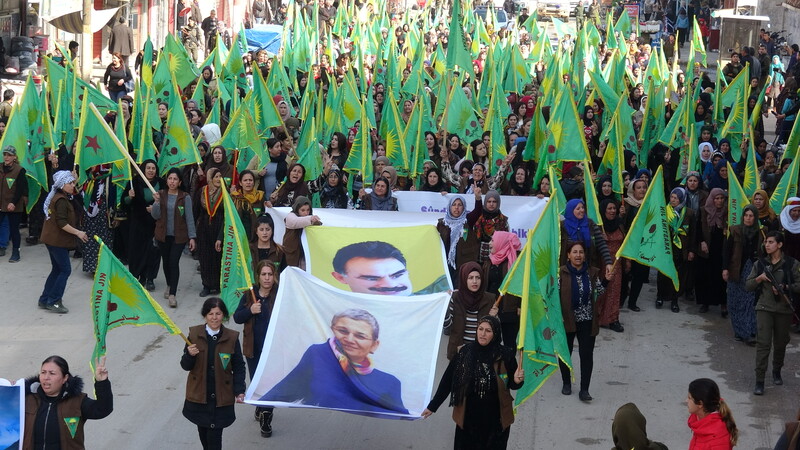 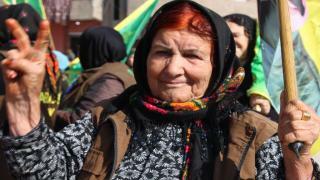 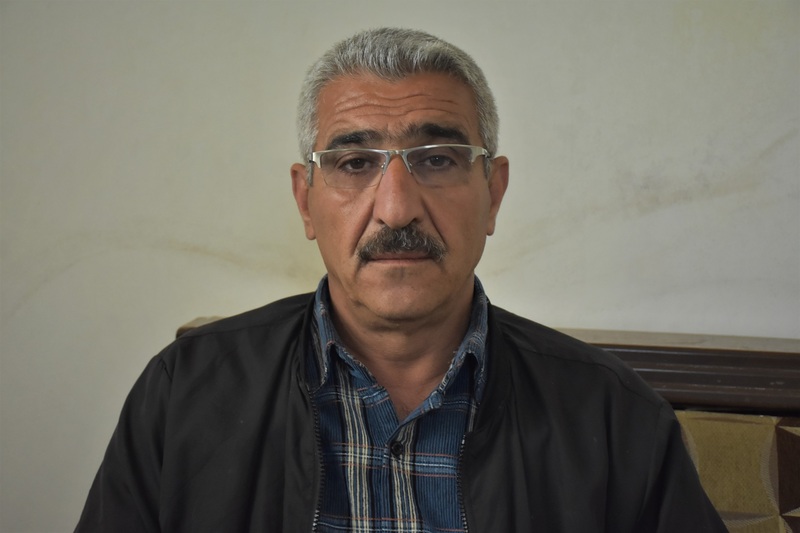 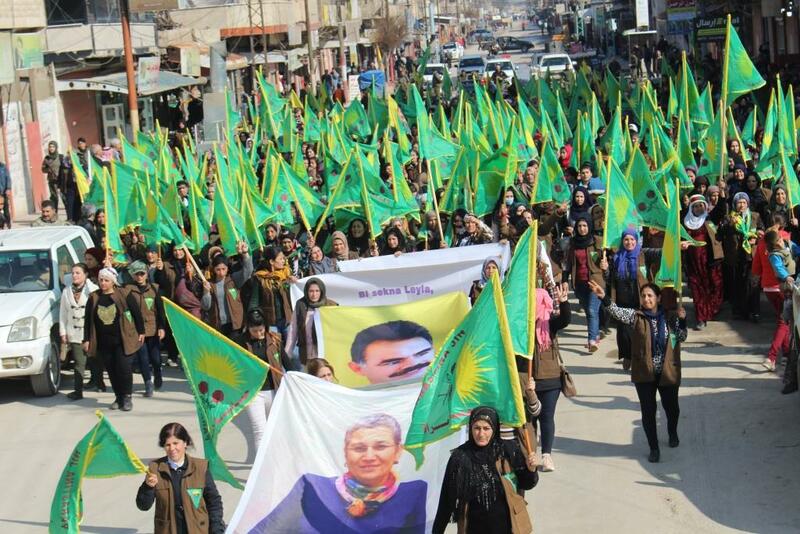 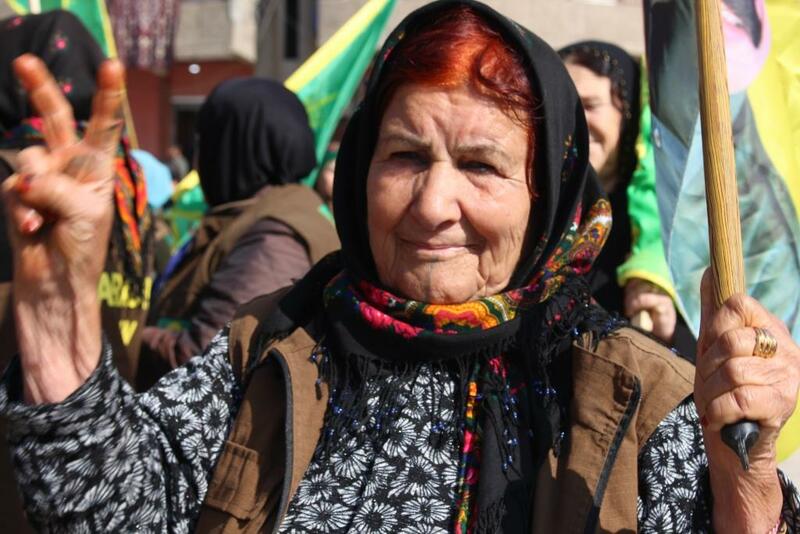 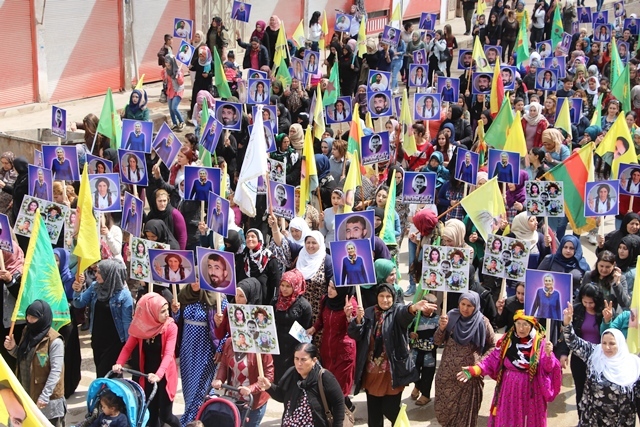 Hundreds of members of the Society Protection Forces - Woman in Qamishlo protested against the plot which targeted the Kurdish leader Abdullah Ocalan in its 20th anniversary. 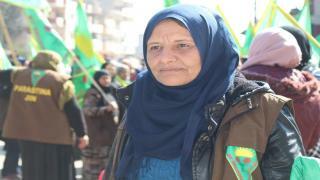 In conjunction with the 20th anniversary of the international plot against the Kurdish leader Abdullah Ocalan, on February 15, 1999, known as the Black Day, activities were organized in all cities and regions of northern and eastern Syria, where members of the Society Protection Forces-Woman demonstrated to denounce the international plot and in solidarity with the hunger strike activates. 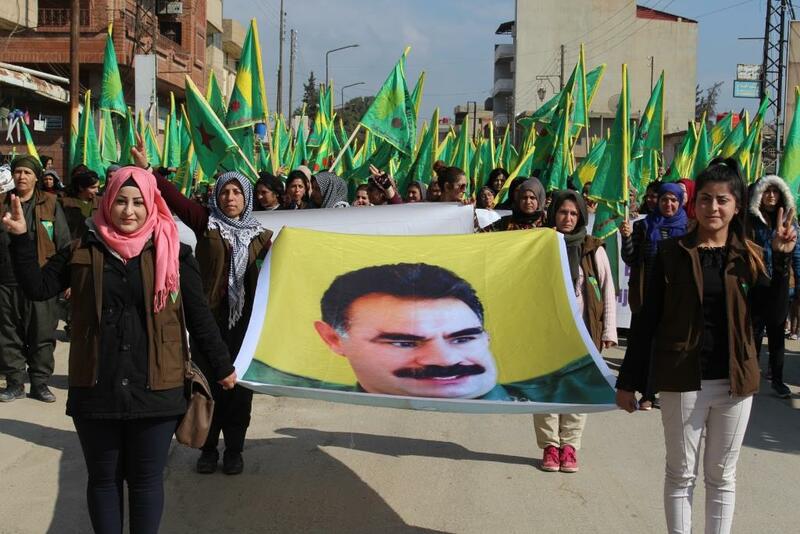 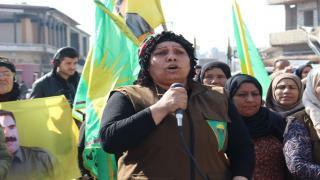 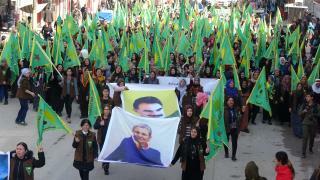 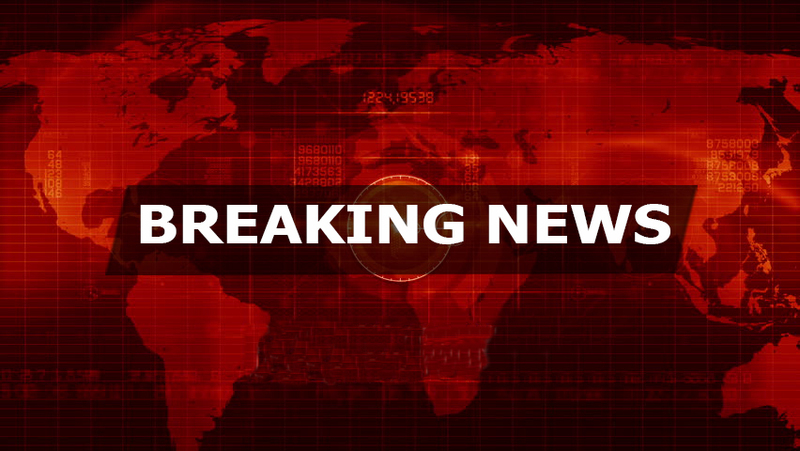 Demonstrators raised pictures of the Kurdish leader Abdullah Ocalan. 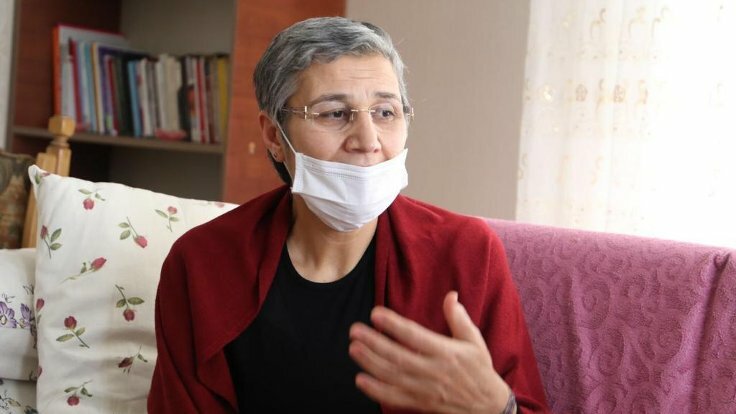 Pictures of parliamentarian Leyla Guven, who has been on hunger strike for 96 days, the demonstrators also chanted slogans saluted the resistance of Leyla Guven. 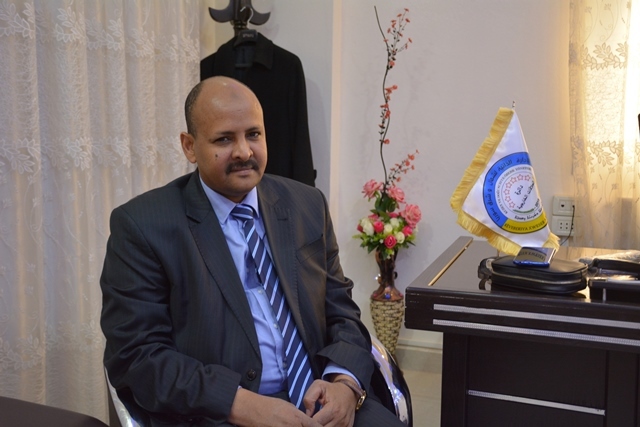 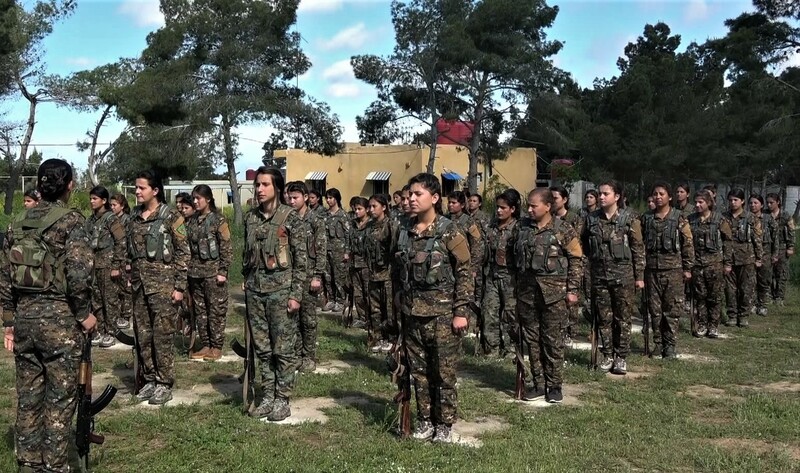 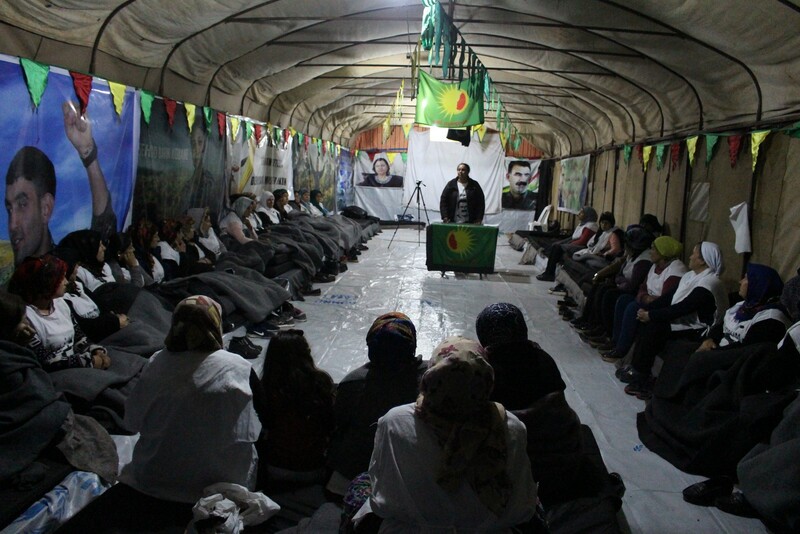 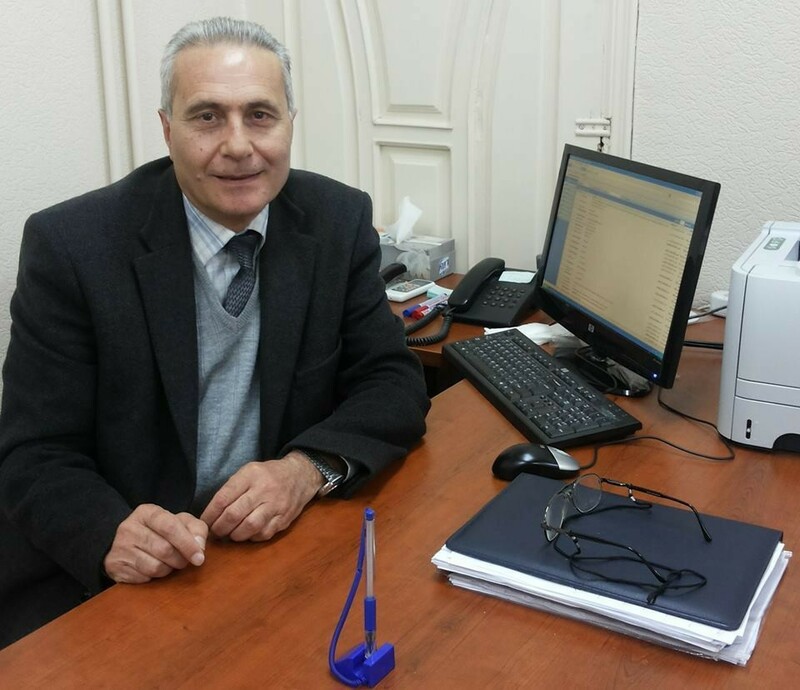 The administrator in Society Protection Forces-Woman Hediya Abdullah denounced the international plot which targeted the leader Ocalan and said "The will of women will break the isolation. 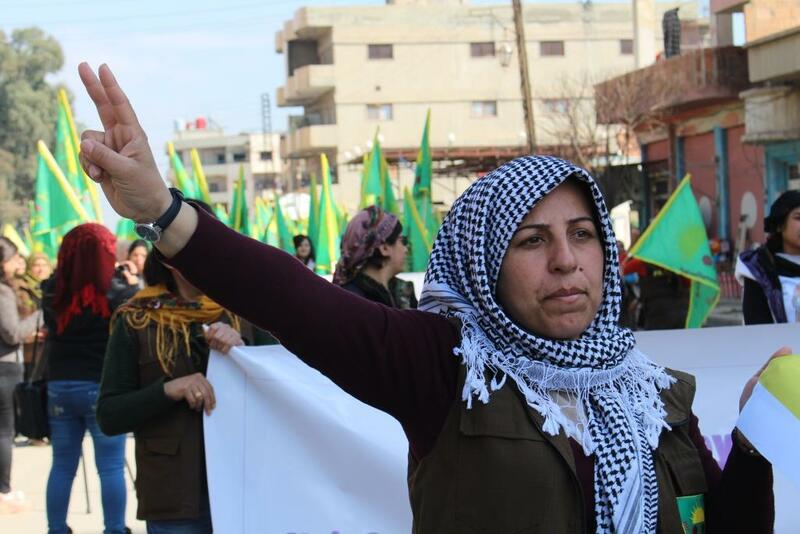 The conspiratorial states thought they would be able to destroy the spirit of resistance but under the leadership of Leila Guven and her friends who are on hunger strike, we will destroy the occupation, lift the isolation and live free with our leader. " The demonstration ended with slogans that saluted the resistance of Imrali.